Maitree Plasto Pack was established in year 2006. We are the leading Manufacture, Supplier and Trader of handles, Campos Box & hanger. In order to fulfill the ever changing demands of our clients, we have been engaged in offering a quality range of Handles. These products are manufactured using excellent quality material so that these are in compliance with international quality standards. 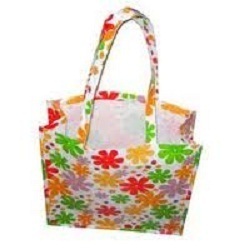 Our range is made by using high grade material which ensure its best quality. It is extensively used in almost every household. We offer our range at market leading prices. We offer the best quality hangers and Plastic Hanger that are used to slightly heavy clothes. Fabricated to perfection the hanger we offer are designed to fit in stands and elsewhere. We make sure that these hangers are of good quality and last-long. These hangers are integrated with high functionality, that attracts every customer. Highly durable in nature, wall hangers manufactured by us can be conveniently to fixed on any type of wall.